Eggsellent Reflection: Rivane Neuenschwander at Tanya Bonakdar Gallery — Geoff Howell Studio Inc. 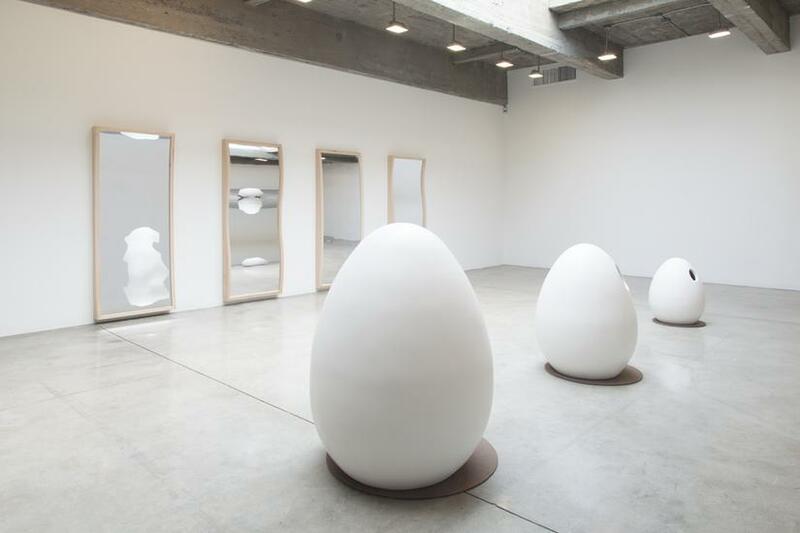 Recently we had the pleasure of producing wearable Egg sculptures and fun house mirrors for a solo exhibition of world famous Brazilian comtemporary artist Rivane Neuenschwander at the Tanya Bonakdar gallery in NYC last month. Working to the exacting specifications of the artist, we were able to create wearable eggs were durable, and lightweight. In Rivane's exhibition, viewers were invited to wear the eggs and view themselves in distorted 'fun house' mirrors that we also created.